Running a professional studio can be an expensive business so it's important to get the most out of the space and equipment available. Making the right choices when they need to be made is not always easy and that's where Red Star Audio come in. With over 25 years experience, we can offer professional advice on all aspects of studio design, installation, equipment and upgrades. We also have a roster of highly skilled repair technicians for on and off site servicing and maintainence to keep your studio up and running and your clients coming back. Also having an in-depth knowledge and experience of the high end audiophile market gives us an added advantage of bringing solutions not commonly found in recording studios into the equation. This includes options for balanced and regenerated power distribution systems, improved mains cabling and connections, RFI filtering, acoustically isolated stands for sensitive equipment to name just a few. 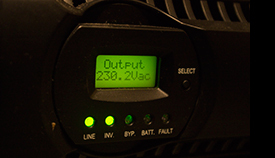 By designing an improved power solution for the studio, all equipment benefits from decreased mains distortion which, in turn, gives a greater clarity of sound with a lower noisefloor, improved headroom and a greater overall dynamic range. This also has an advantage of protecting the studio from harmful mains surges and power dropouts. So whether you require advice on sound treatments, which hardware and equipment to install or upgrade, what type of cables would be suitable, computer recording and DAWs, microphones, musical instruments, monitors... If you have a question or require help, we will always try our best to give you the right solution.